Owning a staghorn fern is an exercise in balance. Balancing water and light, nutrients and keeping their roots exposed is like a highly technical dance that can keep you guessing. 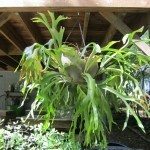 When your staghorn fern starts dropping leaves, you know something has gone wrong in the equation, but what? Read on for some possible solutions. Staghorn ferns have evolved to thrive in their natural habitat as epiphytes that live in the nooks and crannies in tropical forests. Instead of rooting in soil, they secure themselves to tree bark where they can take advantage of small dribblings of water and the decay of leaves and other organic matter. Living among the branches is quite the life for them, which makes their transplantation into a home environment a challenging one. 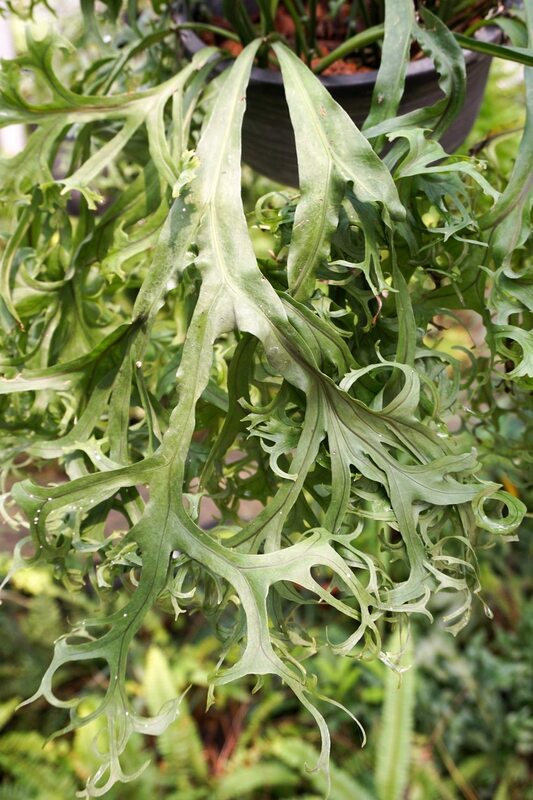 If your staghorn fern is losing leaves, there’s a good chance that something is wrong in the environment, not that a disease is responsible. 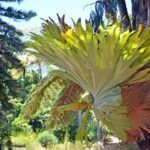 Shedding staghorn ferns are a good reason to panic, but before you do anything drastic, consult the list below to learn why your staghorn fern losing fronds could be a very minor issue. It’s shedding old leaves as a normal part of aging. If just one or two leaves drop now and again, this is not reason to panic. Staghorn ferns do occasionally replace their old leaves with new growth, but the other leaves should still look very healthy and the roots nice and plump. Incorrect watering. While it’s true that staghorn ferns live in humid environments, they don’t experience constant wetness all day and all night. When you water your fern, you should drench it, then withhold water until it’s completely dry again. Frequency will depend on your conditions and whether the plant is indoors or out. Stick a finger deep into the medium to ensure it’s ready before watering again. Too little humidity. Staghorns are fickle beasts. They can’t tolerate too much water directly on their roots, but they also can’t handle it if the environment is too dry. 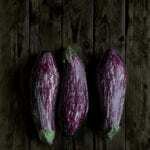 They thrive in greenhouse environments for this reason. If you can’t keep your plant where humidity levels are high, like a bathroom or basement, consider a trick that orchid enthusiasts love and place it just above a bowl of water or an aquarium to increase the local humidity around the plant. It’s important that the staghorn fern not be immersed, but that the water be allowed to evaporate very close to the plant. Sap-sucking insects. Generally, you can tell if sap-suckers are at the root of your leaf shedding problem. Leaves may develop yellow or brown spots where scale or mealybugs are actively feeding, not drying enough to drop until the infection is fairly severe. However, since many scale can look like part of a plant and other sap-suckers feed on the undersides of leaves, it’s possible to miss them on first inspection. Identify the pest in question before applying a non-oil-based insecticide.